Great service! Friendly staff! They came highly recommended by several of my family members and they gave me a fair quote that was far better than others around the area. Best car service I ever had. They went out of their way to fix my mirror and get mt SUV ready to pass over to my son. If there's a problem with something, they will work to resolve it. Honest and reasonable prices. A rare find - a shop I trust!. I would highly recommend Three Points Automotive. They have always gone out of their way to take care of my personal vehicles, as well as, the fleet at work. Their customer Service is impeccable and while I can't say they are infallible, I can say that when they've made a mistake, they have gone above and beyond to make it right. This is the best relationship I've ever had with an automotive shop! Love these guys! Your Car's Family Doctor. I've had my car for 14 years now. I've been taking it to 3 Points Auto whenever it needed repairs, check-ups, oil changes, (including 100,000k tune-up) for 14 years. Hm, I wonder if there is any correlation between a top notch repair shop and the longevity of your vehicle? My truck is now 7 years old and I wouldn't take it anywhere else. Great friendly staff who know you by name, high quality mechanics, and very reasonable prices. Just like your family doctor whom you rely upon to keep your healthy, 3 Points Auto is your trusted repair shop when your car is sick. DRIVE, DON'T WALK to 3 Points Auto in Pflugerville if you need your car worked on. My favorite Automotive Place. 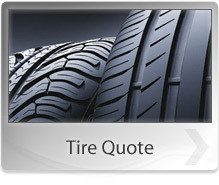 Three Points Automotive has always provided me with outstanding service on my car. I have been to other places where I had been taken advantage of because I'm a female, with Three Points I trust them and know that I am in good hands. I have no worries with them, I highly recommend them. Great Service. My friends and family have been using Three Points Automotive for years. They make the process so easy, with honest, reliable, and fast repairs. They really do make you feel like family. Persistent. I recently had a bad experiance with a extended warranty program I had purchased. The coverage package was confusing. The guys at Three Points helped me work with the warranty company, and had some work pushed through they said was not covered. It was nice to have them on my side. I would recommend them to everyone I talked to. The Best. These guys are great! Very honest! They remember who you are and they don't try to sell you things that aren't necessary. I take both my truck and my car there and would never take them anywhere else. Honest & Reliable Auto Repairs. In times when most of us believe auto repair shops are out to only make a buck and don't care about their customers the staff at Three Points Automotive make you feel comfortable and take the time to explain the repairs needed and they do it in record time knowing that most people can't be without their car for a long period of time. Three Points Automotive has taken care of my whole family's cars. I couldn't be happier with the service I have received from them. I would highly recommend them to anyone who is looking of a honest car repair shop. Consistent Quality Repair & Excellent Service. I've lived in the P'ville area for about 12 years, I own 4 cars (Honda, Ford, Toyota.. large family) and in the past year I've come to fully trust the work done at Three Points Automotive. I've tried many mechanic shops, even at the dealer, but they've all failed me (some have done ok for the first or second time.. but then they go down-hill). Three Points has not failed me and is my go-to mechanic. In my view, consistency is key.. but it has to do with being consistent in needful things such as Quality, Customer Service, Honesty... really.. one time it was just a lose wire and they refused to charge me. Any who, Three Points Automotive gets my highest recommendation. BEST OF THE BEST. I cannot believe anyone would rate this shop LESS that 5 stars. They have worked on my, or a friend of my vehicle at lest 15 times. Each and every single time, it is top notch work. A local muffler shop wanted to charge a coworker of mine (from India) $1600 for an exhaust repair. Three Points fixed the actual issue (collector gasket needed welding) for $65 bucks. For those who have a less than stellar experience, I hope that you are not just going by what some other shop says was wrong with what Three Points repaired. I have built 3 entire cars, frame up, in my life, and these are the only cats I trust. FIVE STARS.. I recently had a problem with an extended warranty program. They helped me through it, and now I recommend them to everyone. My son needed a new alternator and he did not have his warranty information on him. I was able to email it to them and then sign the warranty paperwork through email also. This was a really big help to me. I did not have to leave work and my sons car was fixed. Thank you James. This is a great place to get work done on your car with fair pricing and no one trying to get you to fix things you don't need. 've been using this automotive shop for more than a decade, referred countless friends, and nobody has ever been disappointed. This is one fabulous shop.